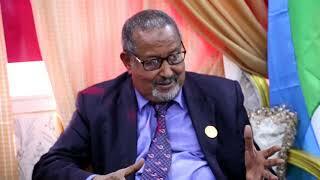 BOSSASO, Somalia- Defence commanders within Puntland Army have pleaded with rebel leader and former Bari Governor Abdisamad Mohamed Galan for support amid renewed escalation of armed hostility in northern Sanaag region, reliable sources tell Garowe Online. Galan reportedly rebuffed the plea, citing homogeneity of clan militia and lack of public confidence in the government. Locked in months-long dispute with Puntland President Abdiweli Mohamed Ali, the former official in in charge of uniformed soldiers, almost all drawn from his clan in far-off Bari districts. 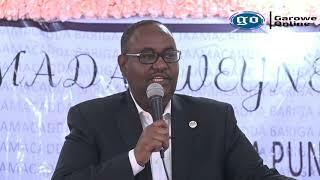 Puntland government previously called renegade Galan a ‘terrorist’ with links to piracy, claims categorically rejected by the rebel leader. 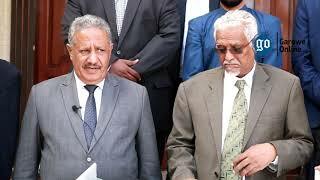 Islamic scholars have been mediating between the government and Galan despite allegations of bungle being leveled against Ali’s administration. Somaliland dispatched a delegation of ministers native to restive Sanaag region for registration exercise kicked off by Saturday. Critics charge that Puntland President has been caught unaware of intense preparations undertaken beforehand. Puntland Ministers in a convoy of technicals could not offset growing Somaliland presence in Sanaag and Highland regions where high ranking officials from the breakaway region delivered speeches ahead of general elections by March 2017. Units headed by ‘former pirate linchpin’--Fouad Hanano--whom United Nations Monitoring Group on Somalia and Eritrea accused of being behind the abduction of the German couple of the "Rockall Berlin" in June 2008 clashed with Somaliland troops near Dhahar town yesterday. At least five soldiers from the opposing sides were reported killed in Monday fighting, military sources confirmed to Garowe Online. Hanano hails from Sanaag region, and he was implicated in high-seas crimes at the height of Somali piracy off the coast of Somalia. He appeared in confidential UN report in 2009 for his active membership to a group of pirate gangs that launched attacks from Lasqoray coastal town, some 110km off Bossaso port city. Hanano who leads militiamen—the UN at the time estimated to be 50--was invited to partake in deadly clashes that flared up between Puntland and Galmudug in Galkayo in 2014. Puntland Presidency summoned the former linchpin to troops during counter offensives in Suuj valley and Garacad in March. He later had a falling out with the President over his failure to provide Hanano with cash, and a portfolio in his cabinet. He had been in negotiations with Somaliland, however. Garowe Online has learned that the Somaliland administration turned down a request for his militia to rehat into and in turn asked him to transfer his armored vehicles in exchange for money. 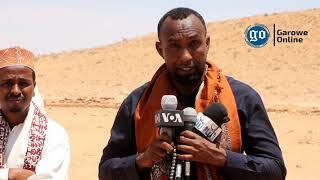 State-owned television station, PLTV yesterday interviewed Hanano while in Boda Ade, 30km from Dhahar. “President Gaas never offered Puntland forces a welfare, that is why he counts on and mobilizes clan militias at times of war,” an official said on condition of anonymity. Puntland officially assigned Abdullahi Omar Ashur as its commander in northwestern Sanaag flank. 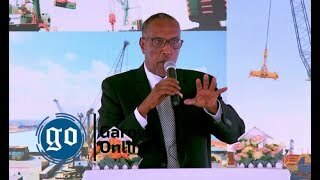 HARGAISA, Somaliland- A delegation led by officials from Somaliland administration have visited several towns in Sool region and held talks with clan elders over worsening drought situation and upcoming Somaliland elections, Garowe Online reports.